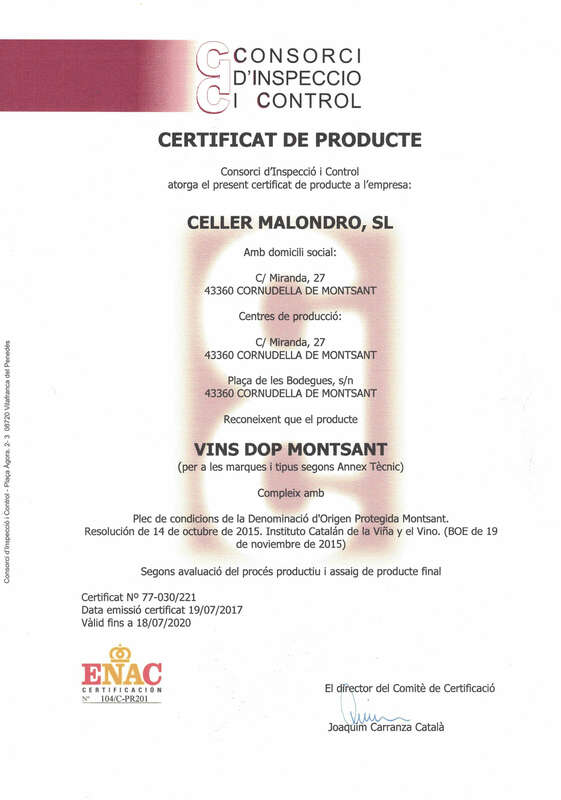 Celler Malondro focuses on following a strict quality policy during all the process of wine's elaboration. Our aim is to finally obtain a high quality product and captivate our consumer. In 2014 we obtained the first Certification of product from the Consorci d'Inspecció i Control. This procedure ensures the quality of the specific and differentiating features of the product and its procedure. In addition, it includes the accomplishment of audits by means the evaluation of the quality systems and production with the capture of samples of final products.